While educated adults obviously don’t believe the 2012 prophesy, many children are terrified, and NASA reports that some are contemplating suicide. So please spread this as a Public Service Announcement. 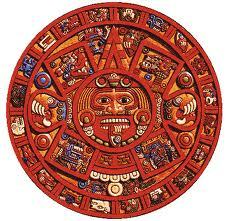 Many people are talking about the Mayan 2012 prophecy. But few know what the Mayan priests actually said about 2012. In reality, Mayan elders say something very different from what you might have heard. For example, Wakatel Utiw – leader of the National Council of Elders Mayas, Xinca and Garifuna (the Xinca and Garifuna are non-Mayan tribes in Central America), Day Keeper of the Mayan Calendar, and 13th generation Quiche Mayan Spiritual Leader – says that the end of the Maya calendar has nothing to do with the end of the world. ‘There are two sides to the story,’ he told CBC. ‘The one that we know is this apocalyptic meaning that has been given to the Long Count. ‘For them it’s a joyous event, not an apocalyptic event. What is coming is the end of a calendar and the beginning of a new one. Ricardo Cajas – president of the Collective of Native Organizations of Colectivo de Organizaciones Indígenas de Guatemala – said the date did not represent an end of humanity or fulfillment of the catastrophic prophecies, but that the new cycle “supposes changes in human consciousness.” (Translation). Rather than being the end of the world, Mayan priest Jose Manrique Esquive believes that 2012 may bring a transition to a better time for humankind. And if you don’t believe what the current Mayan leaders say, please remember that archaeologists recently found a cache of ancient Mayan calendars which goes thousands of years past 2012. And see this. Note: The Mayan elders do make prophetic warnings, but it has nothing to do with 2012. Specifically, they warn that we need to rein in war or pollution or we will destroy ourselves. Given that numerous end of the world prophecies have come and gone without incident, and that the Pope has declared that – due to a miscalculation – we are currently in AD 2016, not 2012 – it is smart to take all date-specific predictions with a spoonful of cynicism.